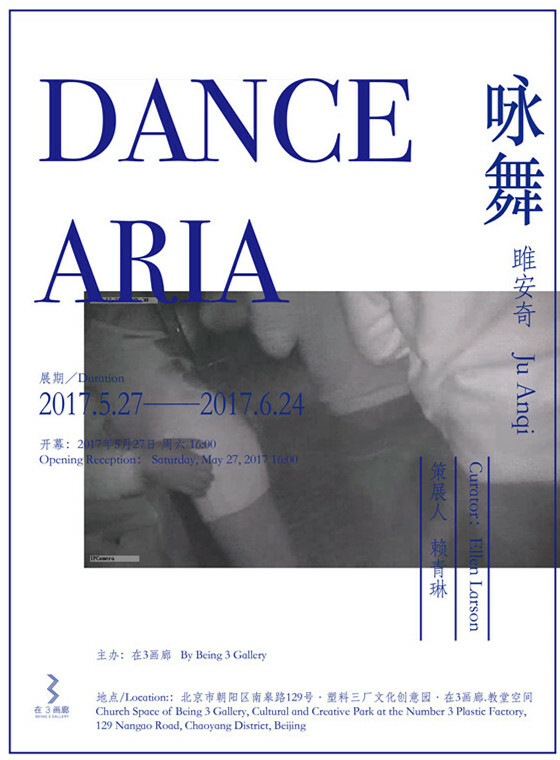 Being3 Gallery is proud to announce the solo exhibition of artist Ju Anqi , “Dance Aria”, on May 27th, 2017. This is the newest video installation solo exhibition Being3 Gallery has curated for Ju Anqi , after the success of last year’s video solo exhibition, “Big Characters”. This exhibition will be composed of a combination of video, audio, and LED light boxes. A 21-meter tall screen will be hung in the Gallery’s soaring Church space. Audio and LED light box installations will be installed on the 2nd and 3rd floor, respectively. The exhibition will present an underground dance form that has existed in certain cities for twenty-something years: sand dance. On dark, crowded dance floors, men and women rub their private parts together, much like how grinders sand down objects, hence “sand dance”. This is a style of entertainment common to the working people of this area. On the second floor of the Gallery, audio installations play voice samples of the artist speaking with female dancers — the lightness of ancient poetry is transformed into deafening music and dialogues. On the third floor, LED light boxes, a signature medium of Ju Anqi , submerges the imagery of “beautiful dancers” in ancient poetry into commercial LED screens in public spaces. “Dance Aria” is curated by Dr. Ellen Larson, of the University of Pittsburgh, and student to Professor Gao Minglu . The exhibition will open on May 27th, 2017, at 4pm. It will be on until June 24th, 2017.